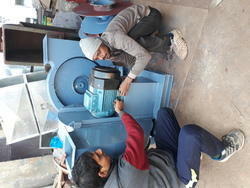 Leading Manufacturer of impeller dynamic balancing, industrial blower, fume exhaust id fan blower, high pressure blowers, industrial high pressure blower and centrifugal blower forward curved from Faridabad. Our company has mastered the art in offering Impeller Dynamic Balancing to the clients. Impeller Dynamic Balancing is manufactured by skilled professionals using high quality raw material and advanced technology in adherence with industry set standards at well developed production unit. Offered range is tested on the entire array to seek out any probable flaw with help quality examiners team. This product can be modified keeping in mind the varied needs of valuable clients. Offered range is widely praised by clients all around the nation. Our company is highly esteemed in offering Industrial Blower to the clients. 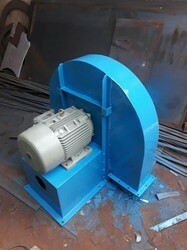 Industrial Blower can be modified according to client's requirement. Offered range is manufactured by using quality assured components with the aid of latest technology under the supervision of deft professionals. This product is widely used in diverse industries including steel plants, cement plants, machine tools industry, marine industries etc. Offered range is broadly praised by clients all around the nation. This product has been checked on various levels of quality at premise. 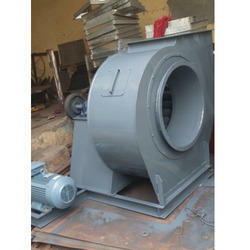 Our organization is engaged in supplying a precision engineered array of Fume Exhaust ID Fan Blower. Our professionals make use of premium quality raw material in the production process that is procured from the most trusted vendors of the market. These are widely appreciated by the customers for their dimensional accuracy, sturdy construction, perfect finishing and trouble free performance. We put our 100% effort to provide the best quality products to our customers that ensure longer functional life. Clients can avail this Blower ID Fan at industry leading prices from us. We are one of the prominent companies in manufacturing of a wide gamut of High Pressure Blowers. These High Pressure Blowers are made of awesome quality raw materials. These High Pressure Blowers are highly appreciated in market due to its high performances, low power requirements. These blowers are reliable and durable. 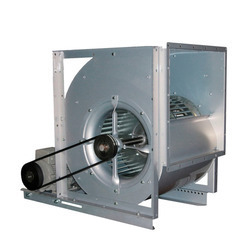 These High Pressure Blowers are available at affordable prices. Industrial High Pressure Blower We are one of the premier engineering companies engaged in manufacturing precision engineered range of humidification machinery. Our range is appreciated for its durability, high performance and sturdy construction. Our company has created niche in the domain of supply of Centrifugal Blower Forward Curved. Made by using supreme raw material which sourced from reliable vendors, these blowers are widely used in various industries. These are quality tested under well defined parameters to ensure their high efficiency and smooth working. Last but not the least, these blowers are available at feasible prices to our valuable customers.